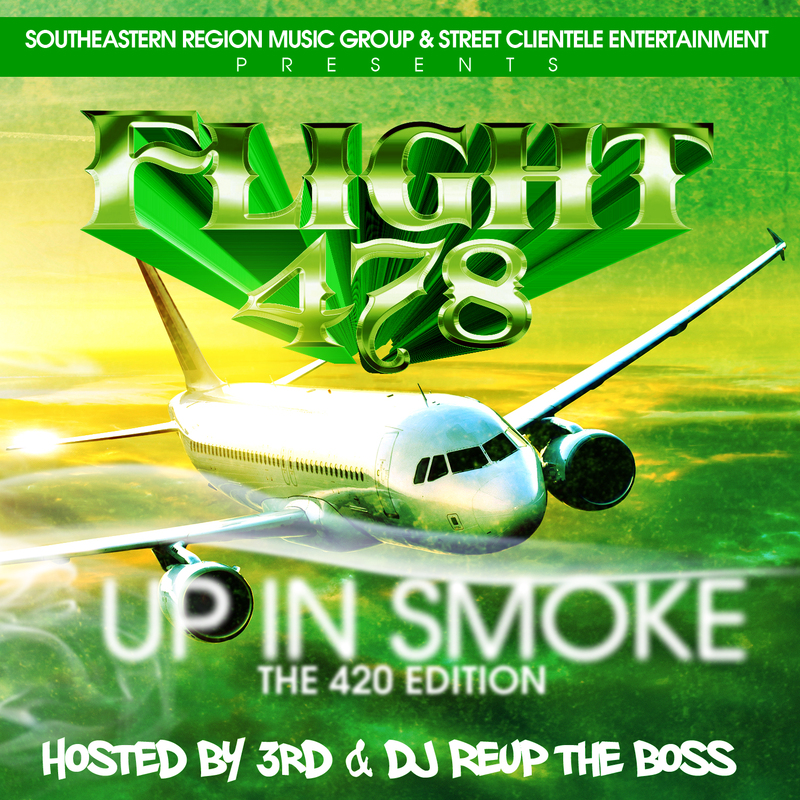 Flight 478 the 420 Edition is right on time bringing you the hottest new music in the streets from across the nation! Press play and sit back and enjoy this classic mixtape hosted by The Southeastern Region Music Group, Street Clientele Entertainment, and Time2Reup. 3rd and DJ Reup Tha Boss team up on this to go harder than ever before breaking the best new music in the streets! If you’re an artist looking to get on the next project make sure you check back in the events section of our site for the next opportunity. Be sure to act quick because slots fill up fast! You can’t go wrong with 5k units in the streets, you get back 10 copies yourself, and you have some of the most well respected execs and DJ’s in the game going hard on with your music! We don’t promote everybody either! You’re music must have the proper sound quality and coincide with the vision of the project being promoted so bring your A game! No wack music will ever make the cut! With that being said, our contact info for this project is listed below. Feel free to reach out but please remember that only serious inquiries will get a response. 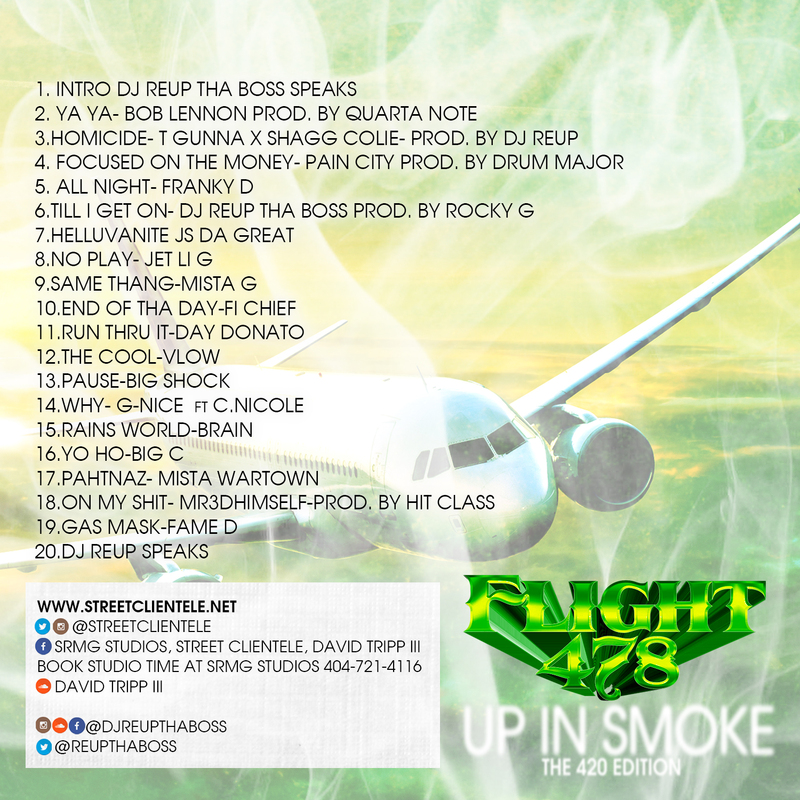 Flight 478 the 420 edition! You can always use the ” Contact Us” tab as well to ask quesions! Feel free to navigate our site to see what all we offer artists and producers! Thanks for rocking with us and most of all please share the music! We really appreciate it! Support good music and talent.